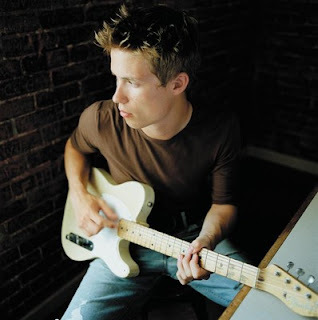 Tweet Right now Jonny Lang is out touring and promoting his new live album “Live at the Ryman.” During his stop in St. Louis, Lang took the time to talk with me about his new album and life on the road. Lang is one of the nicest guys I’ve interviewed and I wish I would have had more questions for him, but I knew he had a performance that night, so I didn’t want him to waste his voice on me. Q – You just released your new album, back in April entitled “Live at the Ryman.” What made you decide that it was time for a live album? A – I’ve been wanting to do a live album for a long time and it just never panned out for different reasons. Finally I was able to make one and have it be a timely thing so that made sense. Q – Why did you choose the Ryman Auditorium? A – We had been recording shows leading up to that for several months and I guess basically that was the show that kind of won of all the ones we had recorded. We were looking to make a live record. I’m glad it turned out to be the Ryman, because it is one of my favorite places to play. Q – What do you do to prepare for a live performance? A – (Laughs) Not too much man, I probably play guitar for about 15/20 minutes or something to warm up on guitar. I guess about an hour before the show I start to warm up my voice, but that’s about it. Q – What is your favorite song to play live? A – It depends on the night; it changes from time to time. I really like doing the song “Red Light,” that’s a fun one to do. Q - We're about the same age and when we were growing up grunge was taking over, where did you discover the blues? A – It’s funny, because when I started taking guitar lessons the first thing I brought (laughs), I brought a Stone Temple Pilots record and a Pearl Jam record to my guitar teacher and said these are the songs I want to learn. He was like, ‘a no.’ He gave me an Albert King record and it was the first time that I’d heard blues music and studied it, so that’s kind of how I got into it. Q – You're known for being an amazing guitar player, but I think you have an amazing voice as well. When did you find out you could sing? A – Oh man thanks, I’ve sang as long as I could remember. I loved singing and knew that I wanted to be a singer ever since I was little. So I guess that was my first love, singing. I didn’t foresee myself seriously playing an instrument until I picked up a guitar. Q - Back in March you played on the "Experience the Hendrix Tour" with Brad Whitford (Aerosmith) and Kenny Wayne Sheppard among others. How did that come about and what was that experience like? A – I got invited to go on tour by the powers that be in the Jimi Hendrix camp. It was an honor to be a part of it, to be able to really get to spend some quality hang time with some of the greatest guitar players ever. It was really fun, just an absolute blast. Q - You've played with some of the greats from Aerosmith and The Rolling Stones to B.B. King and Buddy Guy, among many others. Is there a moment in your career that stands out over the rest? A – Man, there are a lot of ties for first for me. I don’t know. I’ve had so many wonderful experiences playing music, the least of which are not necessarily the moments that weren’t with The Rolling Stones or somebody of that caliber. It’s the little moments that can change your life too. There have been plenty of incredible memories made over the years. Q - Are there any up and coming artists or bands that you're really into? A – Yeah, if I only had my iPod. There is a band called the Weepies that I really like. There is a guy from the UK. His name is Foy Vance, I don’t know if you’ve heard of him. A – He is unbelievable. You have to check him out; he is incredible. Q – I definitely will, thanks. I really enjoyed my conversation with Jonny Lang, he’s a class act all the way. Pick up Lang’s new album “Live at the Ryman,” it’s in stores now, all check him out at www.jonnylang.com.